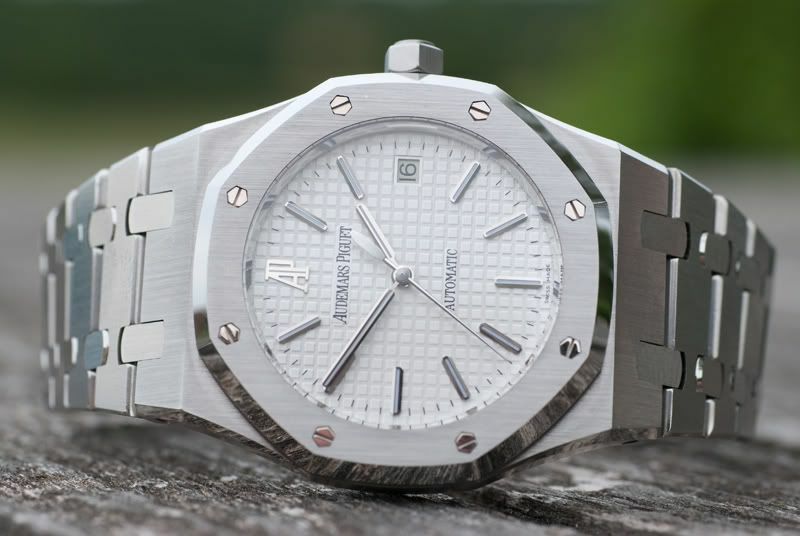 I though that our previous articles (part 1 and part 2) about the Audemars Piguet Royal Oak 15202 (Jumbo) versus 15300 were quite explanatory, but it seems that I might be wrong about that. It also might have to do with the fact that AP recently introduced the new version of the 15202 (click here) with some minor changes in the design that revert to the original 5402 of the 1970s. Furthermore, a successor for the 15300 has been announced already as well, same goes for the Royal Oak Chronograph edition (26300 becomes 26320). In these cases, the case diameter grew from 39mm to 41mm and the wording on the dial has been blown up as well. Not sure whether this is something I like. Anyway, let’s keep it at 15300 versus 15202. The picture above clearly shows the 15202, former edition, with framed date aperture, AP logo at 12 o’clock and Arabic numerals for the minute markers. This is the version that is still relatively easy to get, where the models before the 15202 and the successor of the pictured 15202 are either hard to get or very expensive. Or just both. The version above will set you back approximately 9500 EUR. The 15300 (below) can be had for less, starting at approximately 7500 EUR (used Chrono24.com to do a price look-up). Our friends at The Prodigal Guide did an interesting write-up. Both editors of The Prodigal Guide are planning to purchase either a 15202, 15300 or 26120 (Dual Time) in the next 12 months. We’ve have to talk them out of the Dual Time of course, and narrow their short-list down to the Jumbo and the 15300. 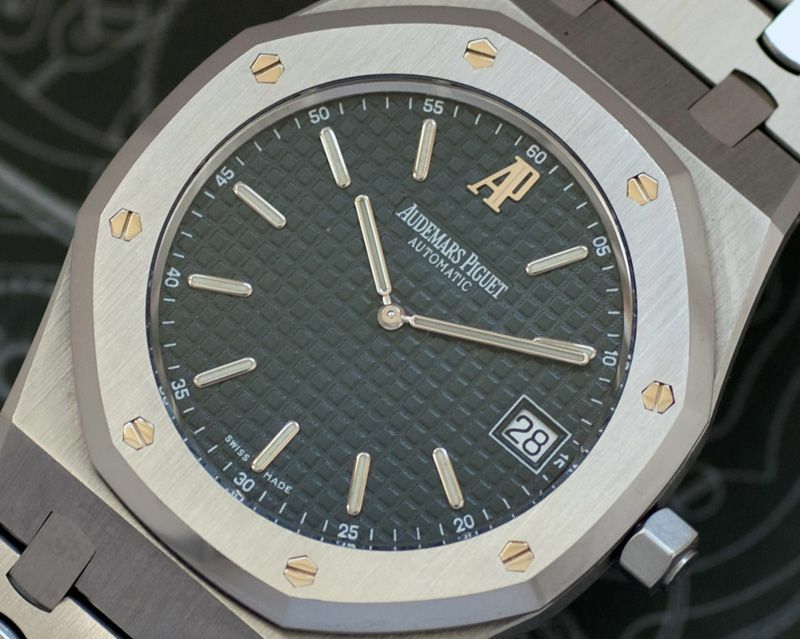 Give them a helping hand by replying to their article ‘A tale of three Royal Oaks: the Audemars Piguet challenge‘.